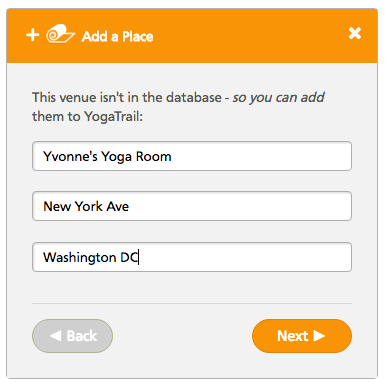 Listing the locations where you teach is an essential part of creating your teacher profile on YogaTrail, as it lets people know where you teach! 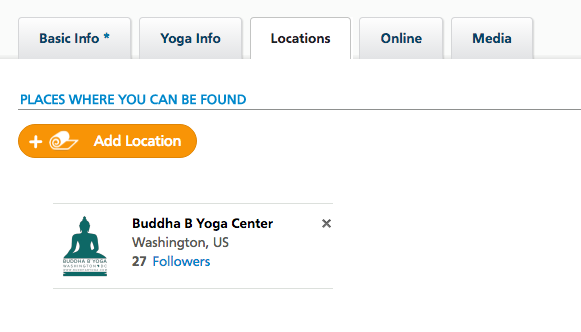 You'll also be much more visible on the YogaTrail website (each of your locations gets you a pin on the map, and you'll appear on the profile of each venue you're associated with, and your teacher profile itself can rank higher in the local search results). 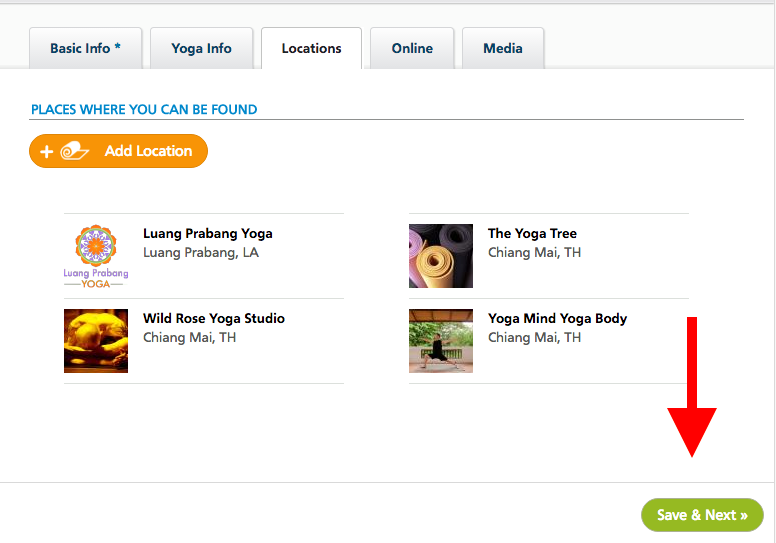 Adding your locations will also make easy for you to add your classes and create events. 1. Is it already listed on YogaTrail? When you select a venue from the list, it will be added as your list of locations (see the image below). 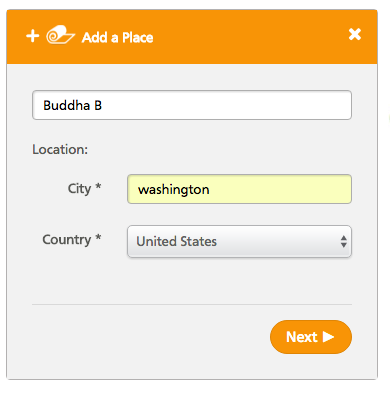 If you've added a location by mistake, simply click the little 'x' on the locations box to remove it. You will be able to choose a different location. Please choose Studio or Retreat Center only if the venue is open year round, is open to the public, and has a regular yoga schedule. Some resorts can qualify as "retreat centers". 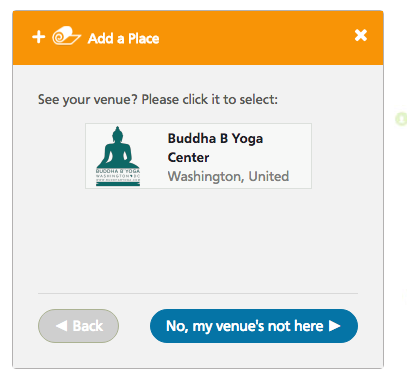 Please choose "Other" for places where yoga is not a regular thing. Some examples: hotels, beaches, parks, town halls, churches. 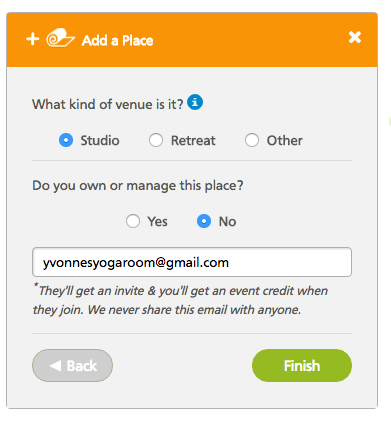 You'll also need to indicate if you own or manage the venue you're adding. It might seem like common sense, but you shouldn't click 'yes' if you're not the owner or manager of a place — you would be impersonating somebody else's businesses, which is an offence. To add a venue that you don't own or manage, you'll need to supply their email address. We will use their email only to invite them to claim their page and add information to it (and we don't share this information with anyone, or use it in any other way). If you don't have the email, or prefer not to add it, please create your venue as 'other' — this requires no email address. After you've entered all the required information, click 'Finish'. This will add the venue to your list of locations. 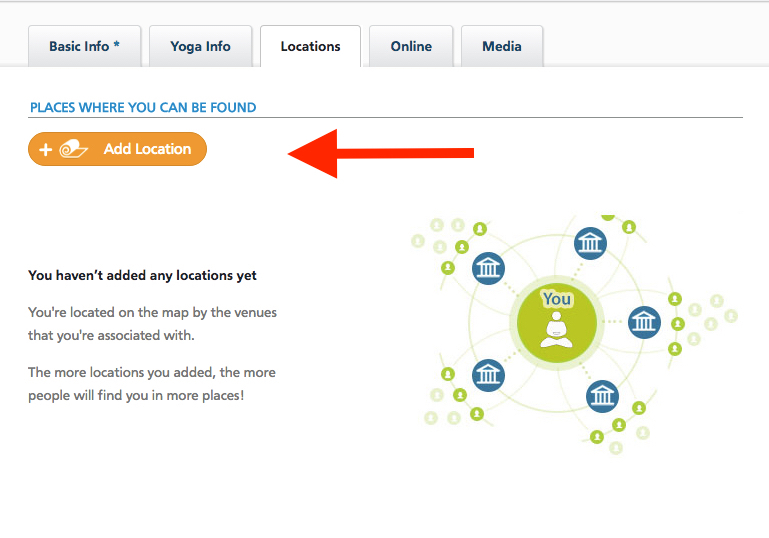 Note: if you are the owner or manager of the venue you've just added, you will now also be able to access this new profile from your YogaTrail account. To navigate between your profiles, please the drop-down menu at the top right (small triangle next to the button that says 'My Yoga’). Add as many venues as you like - there's no limit!